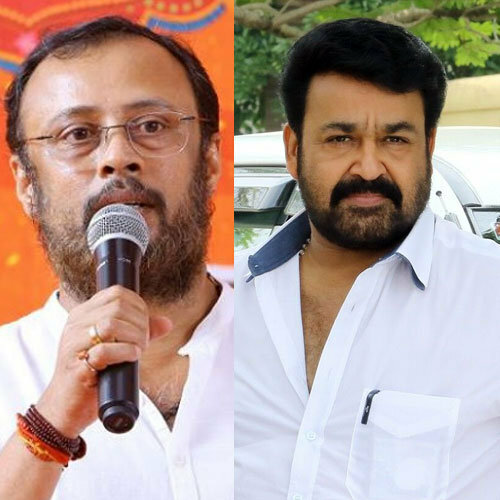 Director Lal Jose and Mohanlal are teaming up for their first venture together in which Mohanlal will be sporting the role of a college principal. The film yet to be titled is produced by Antony Perumbavoor, under the banner of Aashirvad Cinemas. Mohanlal will be starring as Prof Michael Idiculla in his first collaboration with the director. The shooting of the film begins on May 17th, in St Xaviers College, Thiruvananthapuram. The film is scripted by Benny P Nayarambalam, and the theme of the film reflects and portrays the healthy relation between the teachers and the students of a college. Angamaly Diaries fame Anna Reshma will play the the female protagonist. The film also has Anoop Menon joining with Mohanlal after the huge success of Munthirivallikal Thalirkkumbol. The rest of the cast includes Priyanka Nair, Salim Kumar, Kalabhavan Shajon, Siddique, Shivaji Guruvayoor, Sharanya, Swapna, Aanandam fame Arun and a lot of new faces too. The songs of the movie are penned by Vayalar Sarathchandra Varma, Rafeeq Ahmed, Santhosh Varma, Anil Panachooran and Manu Manjith. Music is by Shaan Rehman and Vishnu Sharma is the cinematographer. Maxlab will be the distributors of the film.